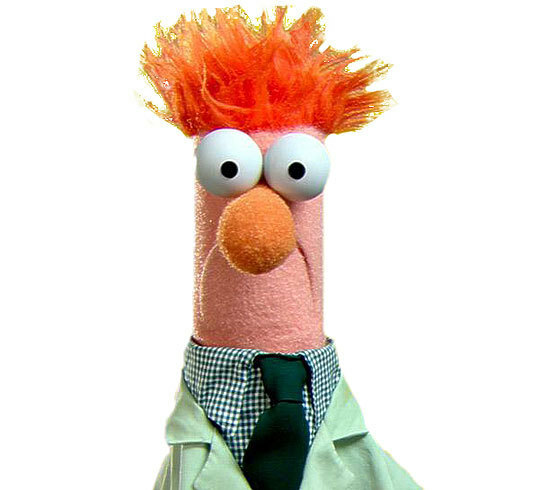 A few weeks ago, Thomas Murray, the principal of Danvers High School, banned the word meep from his school. Parents and students were warned, by automated calls and e-mails, that saying (or even “displaying”) the word meep would be grounds for suspension. News of the ban made for a moderately sized sensation, full of entertaining elements - a (possibly) overzealous principal (who also forwarded e-mails containing the word meep to the local police), Muppet references (meep, as we all know, is what the hapless lab assistant Beaker says, often as things explode and catch fire around him), Road Runner references (with learned commentary at blogs such as Language Log, where it was pointed out that the fleet-footed bird’s beep-beep sounds more like meep-meep, with a spectrogram to prove it), students wearing “FREE MEEP” T-shirts, and social media references (the students allegedly used Facebook to coordinate their meeping). A large part of the joy of the story, though, is the word meep itself. If the principal had banned a different four-letter word, some run-of-the-mill obscenity, another nonsense word (Monty Python’s ni!, anyone? ), or even a different silly word such as rutabaga or spork, the reaction probably wouldn’t have been so gleeful. The very sound of meep is cheering: The long-e sound forces the face into a smile (like saying cheese for a photograph), and research has shown that even a forced smile can result in an improvement in mood. Since meep is “not even a real word” and “doesn’t mean anything in particular” (as Danvers students Mike Spiewak and Melanie Crane have said in interviews), it can be made to mean just about anything: UrbanDictionary.com lists more than 70 separate user-contributed entries for meep, showing a word that is so versatile that it “may be used to substitute swear words or greet a person hello.” Most of the UrbanDictionary entries are fairly innocuous - “the sound made when one’s nose is touched affectionately” and “a person that would prefer to do something boring while others have fun” - but many are unprintable. And the e-mails containing meep that Murray forwarded to the police? They may have been sent at the behest of members of the Facebook “MEEP” group (which currently has more than 5,000 members) who encouraged others to meep-roll the school administrators. Supercalifragilisticexpialidocious, bippy, and meep all reinforce a truth about language that we rarely stop to think about: All words mean only what we all collectively agree they should mean, no more and no less. In Danvers, meep came to mean: “We’ll obey your rules when we feel like it.” And that, in the end, made it a dirty word. E-mail Erin McKean at erin@wordnik.com. For past columns, go to www.boston.com/ideas.